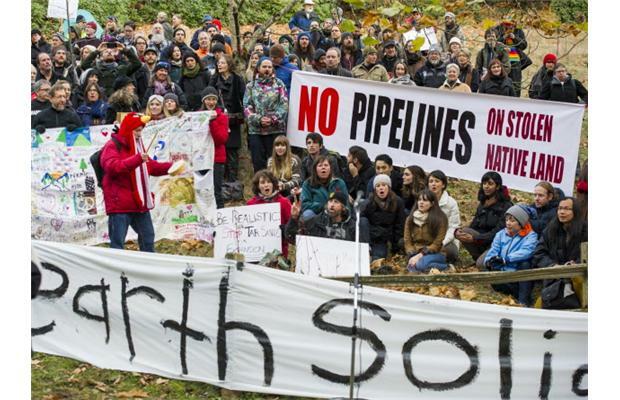 Pacifists and New Age spiritualists hold a group hug against Kinder Morgan… it didn’t work. BURNABY, B.C. – As the deadline for an injunction passed directing protesters to clear the way for Kinder Morgan pipeline survey crews, many vowed to defy the court’s order. 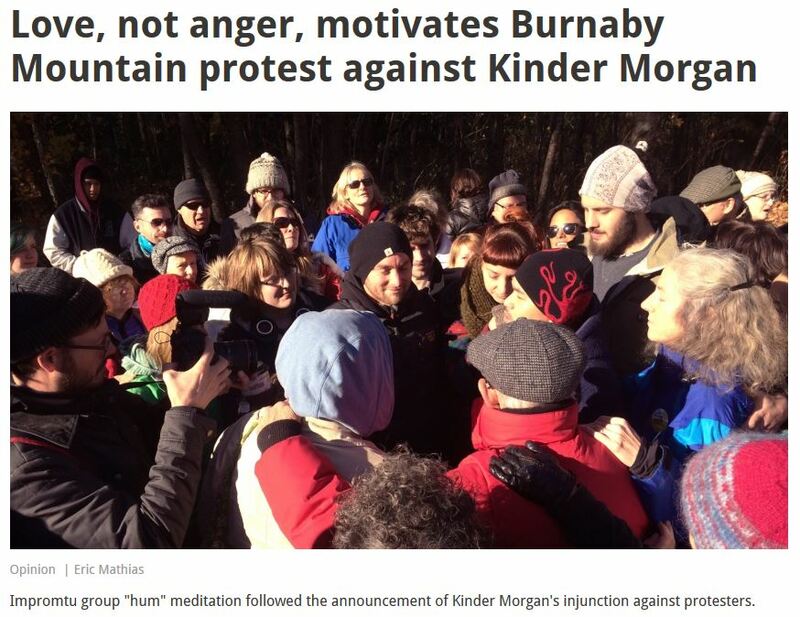 A few hundred people gathered along the road and on a hillside in the Burnaby Mountain Conservation area as the 4 p.m. court-imposed deadline loomed, waving banners, chanting and vowing not to let survey crews access the conservation area.